Description A stress-free solution to your stuff-and-send routine! If you're mailing out a bunch of invitations, greeting cards, business invoices and other professional correspondence, stop suffering and start saving with a bulk supply of white 9x12 Envelopes from Check O Matic. Crafted with security, durability and convenience in mind, this 30-piece pack of peel-and-stick envelopes helps you handle mass mailings with unmatched ease. 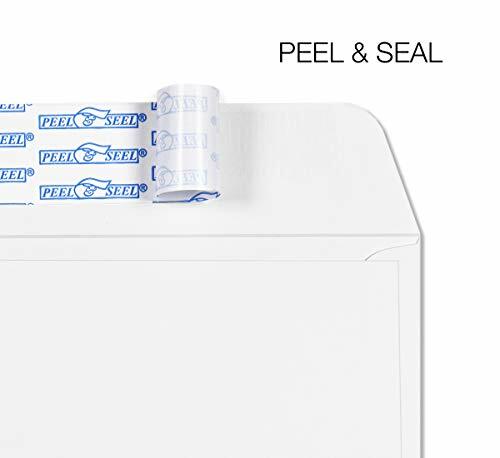 Our envelope's open side orientation makes stuffing papers of all shapes and sizes simple, while helpful adhesive self seal strips require no nasty licking or expensive moistener. Heavyweight 28lb-construction also ensures every single document arrives in tact and safe from postal journey damage. Just remove the backing, insert card, invoice or flyer, fold down the flap, and get back to work. Keep your trusted Check O Matic business supplies in stock, and add these 9 x 12 Envelopes to your cart today! An amazing solution for relieving office stress! Give your tongue a break and business a boost! If you have any questions about this product by EnDoc, contact us by completing and submitting the form below. If you are looking for a specif part number, please include it with your message.